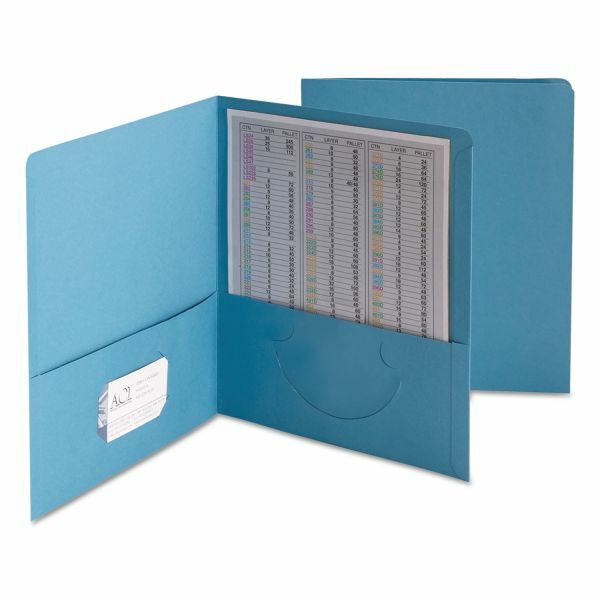 Large pockets safely hold documents while keeping the material accessible. Left pocket is die-cut for business card. Note: A minimum quantity of 6 must be ordered, and in units of 1 thereafter. 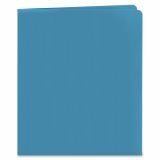 Smead Two-Pocket Folder, 100-Sheet Capacity, Blue, 25/Box - Back to school! Two-pocket portfolios without fasteners offer large pockets to hold documents, photos or certificates for safe and easy transport while keeping the material immediately accessible. They are reinforced at the sides with a sturdy glue flap and closed at the center. The left pocket is slit-punched to accept a title or business card. Pockets are 4-1/2 high. Heavyweight textured stock makes a distinctive impression.